I am new to Affinity but am coming from Adobe CC. Not a pro but a beginner who wants to learn. 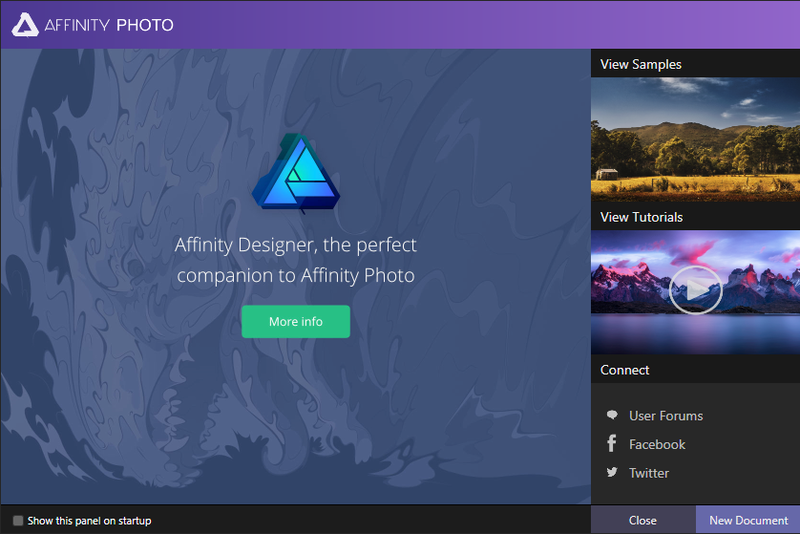 Heck, if I knew about Affinity before I would have gone with it long time ago. Anyhow, I do have a question in regards to the post on the Affinity Blog. I have purchased Affinity Photo, Designer and the Book on September 19/2017. Based on the link given it is my understanding that update 1.6 comes free with those addons and if so then how do I download them? If I am wrong then I guess this ONLY applies to new purchases as of today (November 2, 2017)? In addition, I would like to mention that under my account I only see Grade UI Kit & Free Macro Pack. The downloads should be available from your welcome screen that appears when you start the apps. You can also go to Help > Welcome to find the welcome screen. The downloads should be available from your welcome screen that appears when you start the app. You can also go to Help > Welcome to find the welcome screen. Yeah, I saw that because someone beat me to it with the topic. Just registered with this forum as well as Affinity Photo. My question is this. Why des my password work with the forum but when I try to sign in via the programme, it informs me that my details are incorrect??? Your forum account is only for the forum its login details can't be used anywhere else. 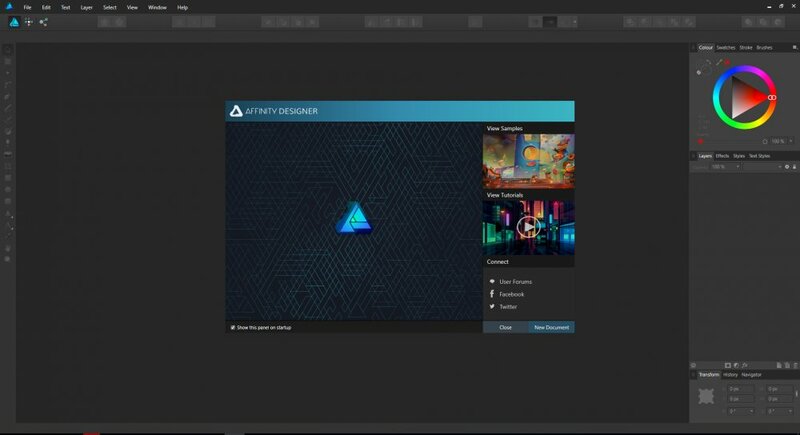 My welcome screen remains the same after the update of Affinity Photo - no link whatsoever (I mean, other than the usual link to get the Designer, samples, tutorials and social stuff). How can I get the bonus content then? You should be able to download them from the welcome screen please could you check through the section highlighted in my below screenshot it will be on one of those slides. I can't find any possibilities to download the bonus contents. Please could you send me a screenshot of what is showing in the space I highlighted in my screenshot above? I also can't download the freebies. Designer's welcome screen looks like this. Photo looks like the screenshot above. Please restart the program and run it again. Make sure there's no anti-virus or firewall blocking the program or the internet connection. I've restarted both programs, restarted the PC and turned off the firewall and anti-virus. Still same problem. I have the same problem too. Also tried with no antivirus, still showing the same welcome screen as seen in previous posts. I have restarted the program several times already. I have also checked that it's not blocked by my firewall and turned the firewall off completely, just to be sure. Also according to WireShark there is some network communication going on specifically when the welcome screen opens (tested several times). Hi there, I have the same problem with lack of slides where I can download bonus stuff. I have Affinity Photo and Designer updated (no clean install) from previous stable version and AD/AP beta installed as well. Thank you all for the reports. It's possible there is something wrong going on with the servers or some other issue. Please wait a couple hours and try again. We are looking into this. I have the same problem too. I created account in shop and didin't help. For those who cannot find the link to the content in their Welcome screen, we are looking into this and will update THAT thread when we know more. You can follow a thread using the "Follow" button at the top right of the thread. I had to download and install the latest Version (affinity-photo-16.0.89.exe). Now my welcome screen shows the free gifts. Go to Affinity Designer/Photo Preferences, General section (or Edit ▸ Preferences ▸ General if you are using Windows) and change the Language from Default to English then restart the application. Does it fix the issue? Go to Preferences, General section and change the Language from Default to English then restart the application. Please press ⌃(ctrl) while launching the app, then select Clear from the dialog that will appear to reset it. You may lose some layout customisation/preferences you may have set with this process. Does the app starts correctly after the reset? Are you able to see the extras page in the Welcome Screen? I have this problem, but it seems to narrow to the following: I don't have a Affinity account to confirm the freebies download. 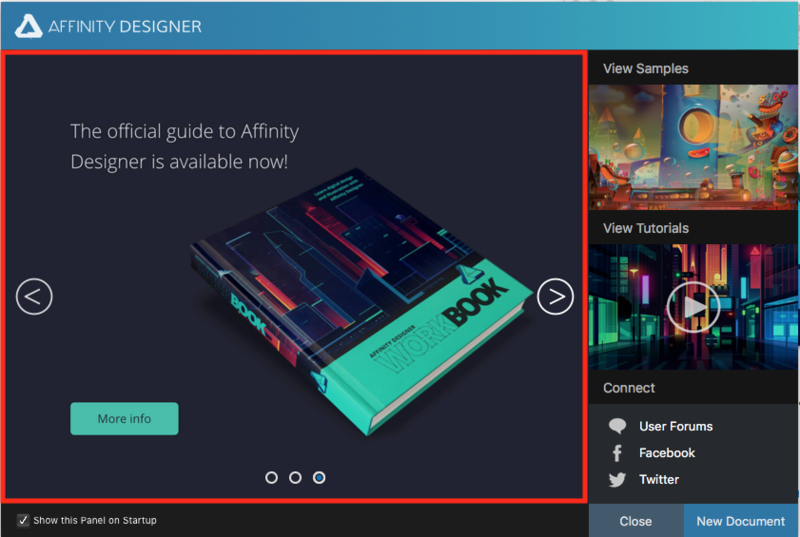 So, how can I get a Affinity account? Changing my language from English(US) to English(UK) solved the problem now I can see the offer and able to download them. Thank you!